Yes, I admit it. I have a problem. I have being struggling with plant collector’s syndrome for over a decade now. The only thing that has kept my yard from being a complete jungle is the fact that the other syndrome I have been struggling with is tightwaditis. 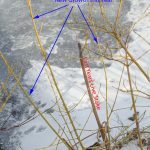 My support group has required me to write this post on how to save money buying trees and shrubs as part of my recovery process. 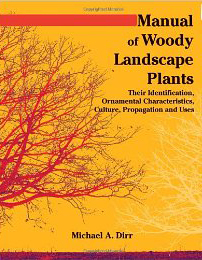 (*affiliate link) and start reading and searching the internet for pictures of cool sounding plants. While this usually works better for perennials that tend to outgrow their space and need dividing, but can apply to small trees also. Some people like to get rid of a plant they bought in a previous buying spree when they find a better one they can’t fit in their yard. These government agencies are trying to encourage reforestation and wildlife habits and are not focusing on making a profit. 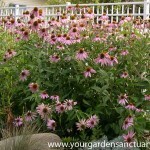 Take advantage of this if you are planting large properties, want to use native plants, or are just like me and CHEAP. These plants are usually small and therefore you do need to be patient, but this can be a great way to save money buying trees and shrubs. Search Google for your county, state and the phrase “conservation tree sale” to see what’s available in your area. I have two Asian pears I have gotten from Stark Brothers that have done fabulously. Plus it’s kind of cool to get these little sticks in the mail that in a few years are decent size trees. Some examples are Stark Brothers, Cold Stream Farm, and Jung. 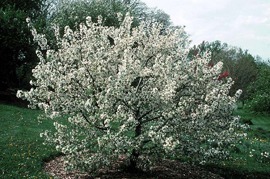 Definitely a good choice for fast growing fruit trees as you can find great varieties. 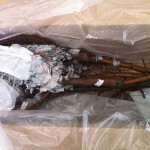 These may be harder to find, but a lot of wholesale nurseries have spring bare root tree sales. Search “Bare root tree sale” and your city or county and see what comes up. You can also call around and ask. Most wholesale nurseries do not want anything to do with retail customers, but some make exceptions for these once a year events. These sales will get you larger trees and shrubs then those you find from your conservation districts. Here is one in my area. Nurseries often sell red buds, crab apples, and magnolias on a discount about a month after they are done blooming. They count on the impulse buys that customers have when they see it in bloom. You can be “smarter than the average bear” if you note which varieties you like the flowers on and then come back later for a deal. Nurseries often put their plants on sale for 25-50% off. You may be able to get some for 75% right before they close for the season, but these are usually really picked over plants. This may be the most effective way to save money buying trees and shrubs, but it is hit or miss. A lot of their plants are of lower quality including being root bound in pots, having poor grafts, and bad branching structures. If you are a discriminating plant picker you can get great deals at these stores. 50% off of a $99 Japanese maples means you might get a tree for $50 that retails for $200 at a local nursery. Note you CAN overpay at these stores too. I hope some of these tips can save you some money. If you liked this post you may like my Facebook page. I’d appreciate it if you visit it and click on the “Like” button to the right of my name. Thanks! Good post. I have ordered bareroot plants and they can be more affordable. They tend to be smaller, though, and so will take longer to achieve substantial size. I really liked your advice on how I can save some money for planting trees in my yard. I am always looking for the big end of season sales, but I had never thought of going through wholesale nurseries to buy bare roots to plant. I think this is a fantastic idea that would save me a lot of money. I will be using these tips a lot while I am looking for trees for my yard. I by no means have a green thumb, but I like great landscaping. One question I have is how you would keep plants alive after their prime planting season? I feel like if I tried to plant a tree or bush after it flowers, it will just die. They don’t. 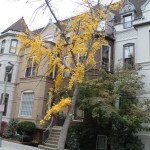 In fact, the best time to plant woody plants is when they are dormant.